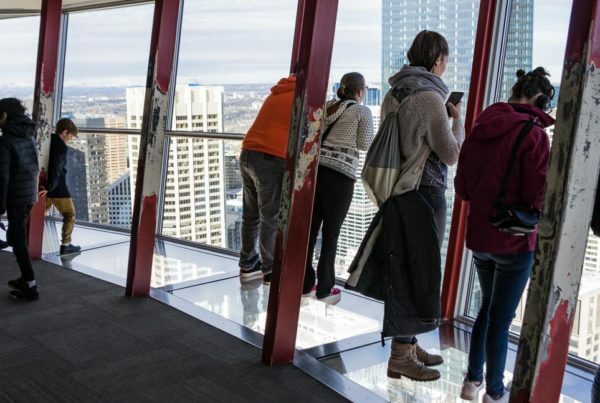 Calgary was the place to be this past weekend boasting temperatures in the double digits for the first time in over six months and beautiful blue skies. In fact I saw shirtless rafters floating down the river (the ice has just left) and enough picnic baskets to make Yogi Bear happy. I also discovered one of Alberta’s newest provincial parks – Glenbow Ranch Provincial Park – between Calgary and Cochrane, no more than a forty minute drive from my house. Actually I have to give credit to Barry at Hiking With Barry for putting me onto it. I first read about it on his blog. Here are some photos showcasing the beauty of my visit to the Glenbow Ranch Provincial Park. There are over 25 kilometres of trails accessible to hikers and most of the trails are open to mountain bikers too. Trails are a combination of asphalt and dirt. You can do and out and back type of hike but there are plenty of loops do hike/bike too. We started off on the Glenbow Trail with gorgeous views of the snow covered Rocky Mountains. This is primarily ranch country and in fact Glenbow Ranch continues to be a working ranch. Expect to see cows and horses. Along the hike (or bike ride) look for signs detailing the history of the Glenbow Townsite, school and quarry. Fascinating reading. Really. Outcrops of the Porcupine Hills Formation sandstone are still visible on the cliffs (above the trains in the photo). This is the rock that was used in the construction of many downtown Calgary buildings including the Calgary Courthouse building. Part of our hike took us on the Bow River Loop – a 4.9 kilometre circuit that takes you across the railway tracks. If you’re into trains, park yourself on the nearby bench and count away. These trains are like long snakes and in the three plus hours we were there, we saw four of them. The Bow River Loop parallels the Bow River for several kilometres. As my husband and I walked along I noticed a monster sized nest in a tree beside the Bow River. My first thoughts were it must be a squirrels nest. 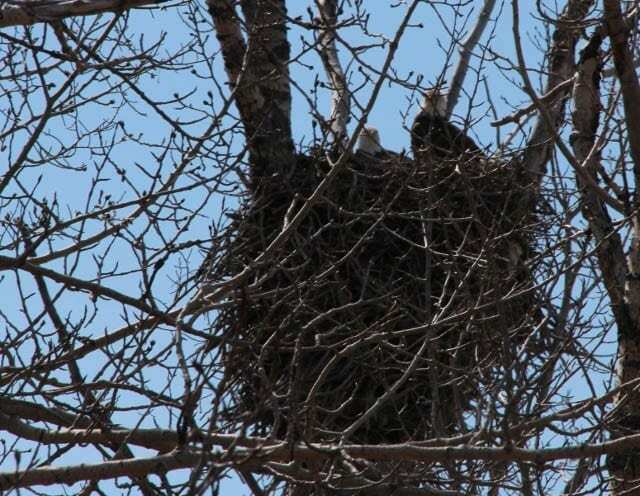 But it was a bald eagle’s nest with not one but two bald eagles in it. It was certainly the highlight of our eleven kilometre hike. The sighting of the first flower of the year in bloom was also a delight. And the scenery on the rest of the hike wasn’t too shabby either. The beauty of the Glenbow Ranch hike is its proximity to Calgary and Cochrane and the fact that it’s one you can do year round. It doesn’t offer the jaw dropping vistas you get in the mountains but prairie skies have their own charm. And it’s hard to beat a sighting of a bald eagle in a nest. Take Crowchild Trail North from the downtown core. Stay on it as it becomes Highway 1A west for 24.1 kilometres. Turn left onto Glenbow Road (look for highway signs too) – a dirt road, and follow it 1.1 kilometres to the parking lot. Parking is free as is entrance to the park. Bring water especially as it warms up. This park will be a hot one on a summer day. I’d recommend hiking either early or late in the day. Camping is not allowed. It’s a day use park only. There are two washrooms, one in the parking lot and one in the park along, I believe along Glenbow Trail. Not one, but TWO bald eagles?? — awesome. Actually, all of your photos are wonderful and showcase what looks to be an exceptional park for hiking/biking and lovely views. Thanks Cathy. It really was a wonderful experience to see eagles in a nest. Wonder if they were sitting on eggs?? LOL. It’s funny, but considering how much I try and avoid the outdoors, I’ve actually been to Glenbow Ranch. My sister used to keep her horse at a place up there, and we’d always go up then take the dogs for a walk. It really is a beautiful place, although if I’d hiked 11km, you’d have to send Search and Rescue to get me. I love that view of the Rockies and that pop of color. Spring’s not too far away. Glenbow Ranch sounds like a great hiking place. @Marcia I am seeing some green outside today. Hurrah! And some of the bulbs are starting to flower so all is right in this world. This sounds like a great park to visit. Love those bald eagles in their nest. What a great find for you! I can see why you decided to spend a day hiking here, it is beautiful! I absolutely love your view of the snowy Rockies. Then you get eagles too. They are such magnificent animals. @Debbie @Mary Even though I’ve seen plenty of bald eagles I never get tired of watching them fly but seeing them in that huge nest was another thing altogether. Wonderful experience. @Steve Not many people have unless they live close by. Instead of search and rescue maybe we could float you down the Bow River to Calgary and revive you with food and drinks. @D.J. No eagles in your neck of the woods?? We saw them in either Georgia or SC a few weeks ago by the ocean but already can’t remember which place. Wow, some amazing shots and the bald eagles are amazing. They have really made an outstanding comeback. We are even seeing them here in Chicago. 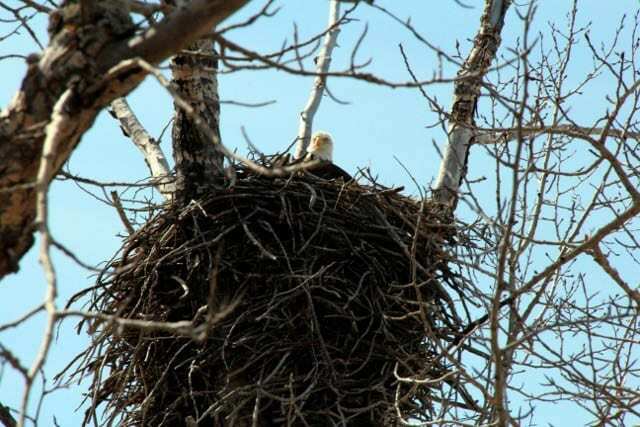 They recently stopped construction of a police firing range near a conservation area because they found a pair of bald eagles nesting. Wow! What spectacular photos, Leigh! I can’t believe you saw bald eagles out in the wild. I love that photo of the horse too. His hair is nearly the same color as the grass in the background. @Ted I don’t think I would have ever associated Chicago and bald eagles. @Michael Thanks for your kind words. Very lucky find with the eagles – especially catching them in the nest. Glad you appreciated my horse shot. @Laurel The area just formally opened in August so I suspect there are lots of Calgarians and other locals just finding out about it. Excellent post, Leigh. This is an excellent park for expansive views and typical foothills terrain within easy reach of Calgary and Cochrane. There is also a lot of interesting history for those into that kind of thing. One exception though. There were washrooms there during my visits. The Visitor Centre is open only on weekends in off seaso but there are bathrooms at the parking area and on the east and west sides of the park. Maybe something has changed? @Barry I think what I meant to say is once away from the Visitors Center – and you could be out for several hours – there are no bathrooms. Good point.